UPDATE #4: There are still 8 spots left, so you may claim a spot by arriving early with exact cash. Also, there are usually 3 no-shows for this event, so you just might be able to join us. Make sure to come early with exact cash. Tickets are $50 each at the event. UPDATE #3: It’s completely optional, but please consider tipping the pilot (suggested $5 per person). It’s a lot of flying he’ll be doing for our group, and I’m sure he will welcome the show of appreciation. Also, don’t forget to account for traffic delays. Please arrive on time! Lastly, please clean up after yourselves, and throw away all trash in the trash can. UPDATE #2: The early-bird price has ended and the ticket price is now $47. I look forward to seeing you there! UPDATE #1: There are fewer than 10 early bird spots left and the price will increase from $40 to $47 when the early bird spots are gone or by Sun. May 13th (whichever comes first). To be fair to those who want to join in and are ready to make payment, I’ll be removing those that haven’t paid by Sun. May 6th. Make payment to lock in the early bird price and your spot (see the “Payment” section of the event posting). If you’ve already made payment, the PayPal email you received is confirmation that we’ve received your payment (no need to message me asking for ticket confirmation). This UPDATE has been emailed to the yes RSVPs. I hope to see you there! Let’s go for a helicopter ride! The Casino at Arundel Mills, downtown Baltimore, and other landmarks will also be within eyeshot! It’s a thrill ride, an experience, and although 5 – 7 minutes sounds short, I climbed out using words like “amazing” and “wow” when I first did it! We’ll go up 3 at a time, so it’ll take us a couple of hours to get through everyone. 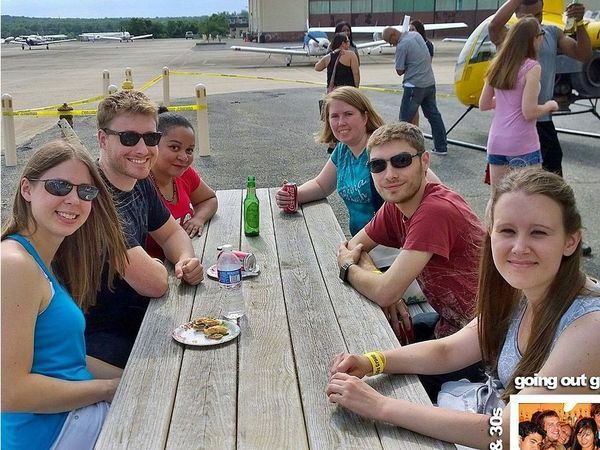 While we’re waiting and getting excited, we’ll hang out and mingle in the hangar and their picnic table area (which sits directly on the tarmac next to the planes) and watch planes come and go. We’ll take off and land about 50 yards away! FOOD AND DRINKS WILL BE PROVIDED. We’ll have turkey, roast beef, and ham sandwich platter and wraps to eat (veggie sandwich can be substituted upon request, please message me through my Meetup profile… see “Special Needs” section of the event posting for full details)… and beer, wine, water, soda, diet soda to drink! We’ve got an early bird special for this event of $40! The first 45 paid sign-ups, or those who pay by Sun. May 13th (whichever comes first) get the early bird price! After that it will go up to $47. We have a LIMITED number of spots so make sure to RSVP early AND make payment to secure your spot and get the early bird price! To make payment, please follow the steps in the “Payment” section of the event posting. So come join us, tell your friends, and let’s experience the thrill of a helicopter ride! To help with the balancing of the aircraft, an extra ticket will need to be purchased for people weighing 245 lbs or greater, and the maximum weight for an individual is 300 lbs. 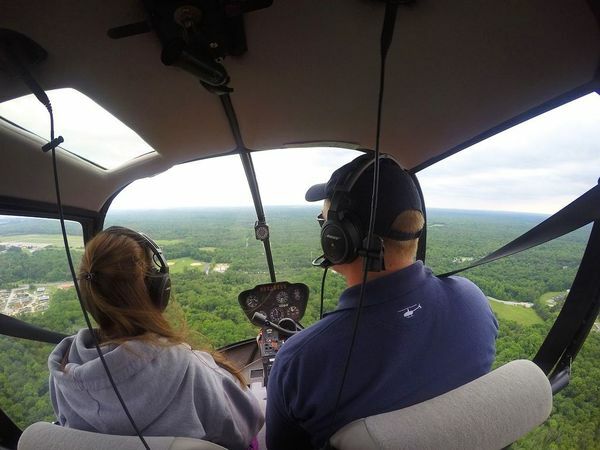 The helicopter company is required to follow rigorous FAA regulations and inspections (which include everything from equipment maintenance requirements to pilot drug testing), as well as manufacturer recommendations for maintenance. Every 100 hours, the helicopter gets maintained and ‘signed-off’ by an FAA and manufacturer approved helicopter mechanic, and it’s no small inspection. 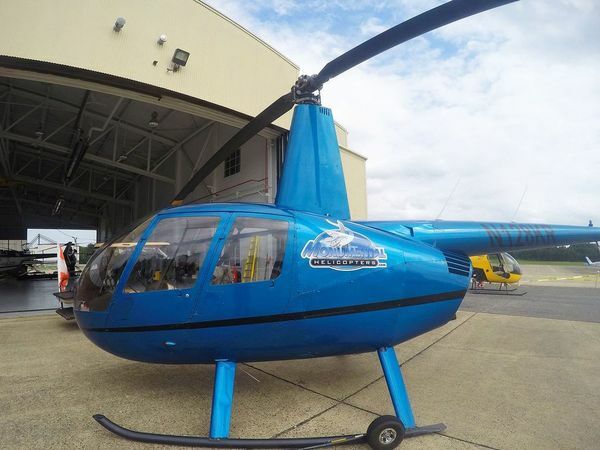 With pilot pre-flight inspections before flights, the helicopters get quite a bit of maintenance between those 100 hours, and the helicopter company has local mechanics who work on anything they feel is needed or that the pilot feels is necessary. Please be on time. If you are late (arrive after the start time of 4pm), you risk the possibility of not being able to join us for some or all of the event. I will have a master list of all those that have paid. It’s not required, but I recommend printing out your payment confirmation email as a backup (if you are not on the list, you will be required to show it). When you check-in, your RSVP will be listed under the name of the PayPal or credit card account used to make payment. Typically, this is your LEGAL name as shown on your driver’s license. Sometimes, it may be under a company name if you set up your PayPal or credit card account that way. If you are not sure what it is, please log into your PayPal account (it will say “Welcome, [your account name]” at the top) or your credit card account to find out. If you are RSVP’d under someone else’s payment, please use that name for check-in. Similar to a concert ticket or a football game ticket, you are free to sell / transfer your ticket to someone else if you are unable to attend. I suggest posting in the comment box for the event, that you have a ticket for sale / transfer. Work out any payment between yourselves, and have the seller only send me (the organizer) a message through my Meetup profile (do not comment in the comment box of the event posting) letting me know the first AND last name, and Meetup profile URL (if a member) of the person taking your spot (please also copy them on the message). To obtain their Meetup profile URL, go to their profile from the mobile website or your computer (not the app), and copy & paste the URL from your browser. I host a lot of events and groups, so please let me know the event name and group name the ticket transfer is for. You must let me know by the RSVP close time of 1pm on the day of the event. If it’s light rain, we’re still on. If there’s lightning, we’ll need to reschedule or cancel. Hopefully, if there is precipitation, it will just be a quick passing “summer” rain. If it looks like there might be possible rain, I’ll post an update by 1:30pm the day of the event. If we cancel or reschedule, and you are unable to make the new date, you will get a full refund (please see the “Refund Policy” section of the event posting for full details).